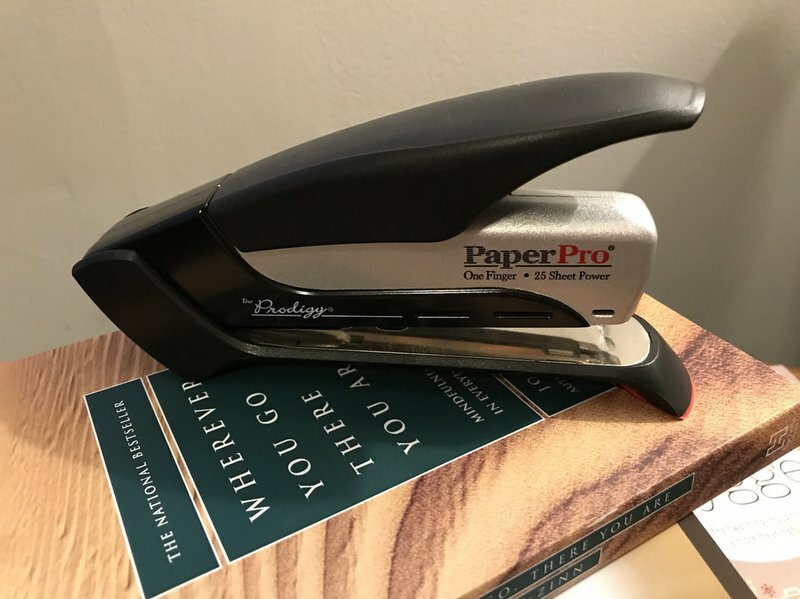 This is my stapler. Until now, I was only able to regale those who expressed specific interest in my stapler with regard to its many amazing qualities. But now I have a vast nameless audience with whom to share. You might think that this is an odd choice as the subject of our blog, a blog by lawyers. But in addition to being a lawyer, I am also a business owner, office manager, and endless seeker of time-saving products and systems. We are a small office. I get my own coffee, empty my own trashcan, and yes, staple my own papers. And I want to tell you about my exceptional stapler. It claims to be able to staple together 25 pages with the touch of a finger. It can. In fact, it can staple together 28 pages - I've done it.